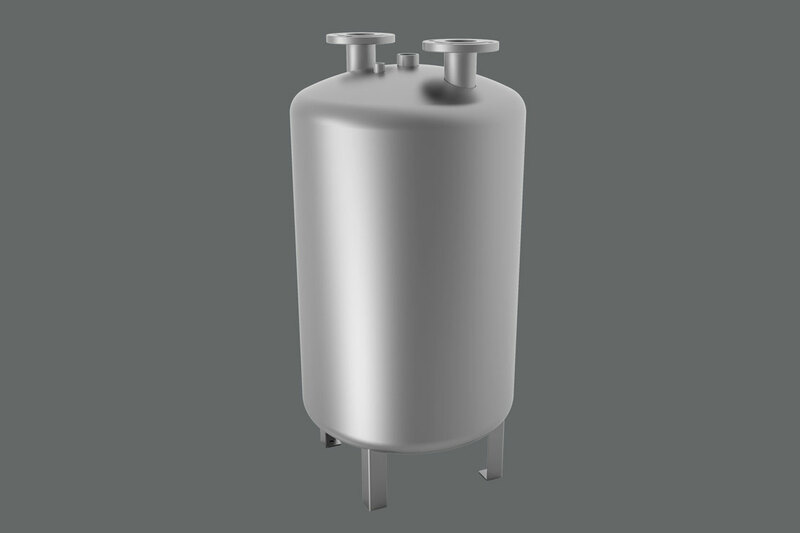 The device is used for hot water storage (also domestic hot water) and for the accumulation of hot water excess. Its function is to prevent the formation of thermal stresses and elimination of overloads in risers. PEREKO stabiliser is adapted for work with heat distribution units, central heating systems, domestic hot water systems and plate heat exchangers or JAD type heat exchangers. The allowable temperature of operation for the stabiliser equals to 110°C. PEREKO stabilisers type SCW-P and SCW-H have been designed and produced in accordance with all good engineering practices. They are executed in accordance with the Directive UE 97/23/EC and qualified welding processes confirmed by the prestigious certificates issued by TÜV Rheinland. The material used for the production of all components is a steel with anti-corrosion protection ensured by hot dip galvanizing. Furthermore, hot water stabilisers PEREKO meet all hygienic requirements confirmed by the Hygienic Approval from the National Institute of Hygiene. PEREKO SCW stabilisers with protective fittings and instrumentation ensure long-term, failure-free and safe operation.